EDI solutions may be far from perfect, but their positive impact on the speed, accuracy and efficiency of order processing is unquestionable. There's just one rather large exception... exceptions. Learn how to simplify EDI exception handling by downloading this not-so-technical EDI order processing handbook. 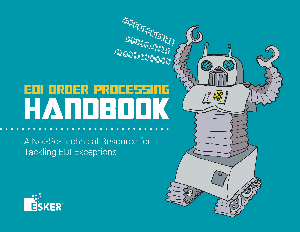 Learn more about EDI and handling exceptions with order processing automation — download the handbook now!